ABOUT — The Centre for Canine Education Inc.
At The Centre for Canine Education Inc. we use humane, science-based training methods to work with dogs. Our focus is primarily on positive reinforcement: offering dogs something that they like (food, play, human attention, environmental rewards, anything that your dog finds fun) in exchange for behaviours that we would like to see repeated. We also occasionally use negative punishment (reward removal) in order to discourage behaviour, however, we must always set the environment up to allow the learner to succeed, and teach the dog what we want them to do instead. Our approach must always start with the least invasive, minimally aversive. When addressing behavioural concerns, we start with Maslow’s Hierarchy of Needs as a way of working through each layer of challenges to resolution. We do not use or condone the use of positive punishment (adding an aversive to decrease a behaviour) as the fallout from using such techniques is far too great. While we recognise that such consequences can be very effective in the moment, we also understand the effects that suppression can have on a learner and are not interested in taking that risk. Our aim is to change behaviour in the most stress-free way possible for the learner and to help create and nurture the bond between people and their dogs. We are grateful for all feedback as it allows us to grow and improve. POSITION HAS BEEN FILLED BUT STILL ACCEPTING APPLICATIONS! Our expectations far exceed the industry standards. Our tight-knit team relies heavily on one another for support and backup. Teach group classes (puppy, basic, advanced), co-teach classes (reactive dog class and other workshops), and private lessons (in-school and in-home). Possibility for virtual consulting with clients (via Zoom), teaching online course modules, and more! Students and graduates of the Jean Donaldson Academy for Dog Trainers will be given preference. We may also accept graduates from Karen Pryor Academy, Pat Miller's Peaceable Paws) and/or certification through the CCPDT, all depending on experience. Completion of a minimum of one day Chicken Camp within the first two years of working with us. An annual commitment to a minimum of 10 hours of continuing education in animal behaviour, psychology, learning theory, ethology, husbandry, anatomy/physiology, or applied behaviour analysis. Completion of Pet First Aid & CPR every two years. 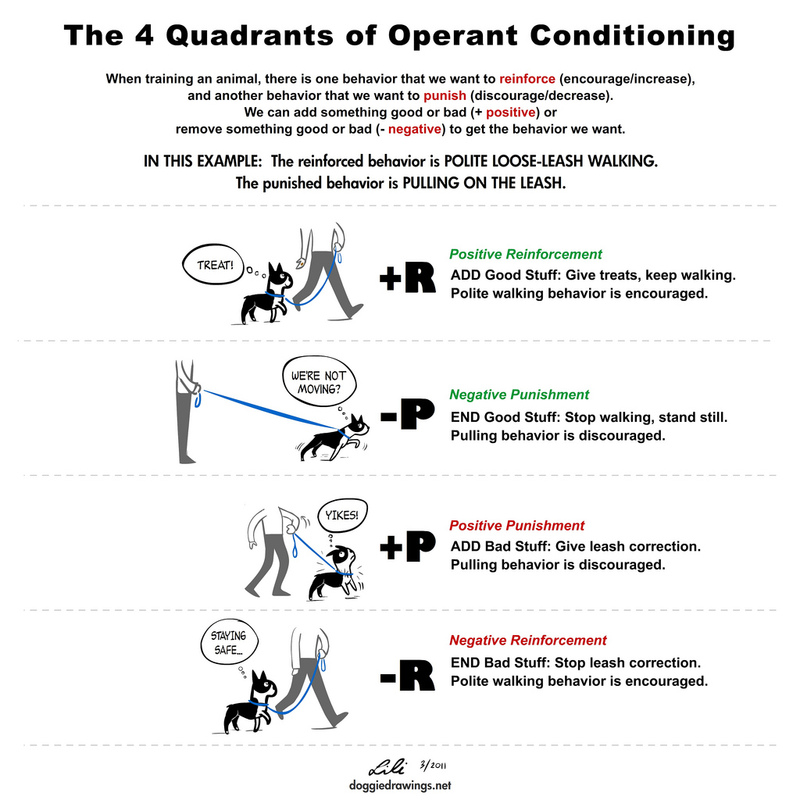 A commitment to positive reinforcement and negative punishment based training using LIMA and the humane hierarchy. The face of our local business in Leslieville, Toronto, Canada. We need a person who will be the glue that holds us together. Working as The Hub, the Office Manager is responsible for the day-to-day operation of the school. This includes organisation, checking students in/out, selling products, managing (limited) inventory and supplies, maintaining cleanliness to standard, answering telephone calls and emails, and opening/closing duties. This position can be a shared position between two qualified individuals if needed. Very computer literate (Apple products), MS Office, Google, etc. Provide administrative support while working from anywhere in the world! Our Virtual Assistant will respond to emails and phone calls, manage customer database, moderate groups and webinars, spruce up Powerpoint presentations, research topics, provide excellent customer service to clients and team members, manage calendars and social media accounts. A telephone and a strong Internet connection are required. currently enrolled in one of the following academies (Jean Donaldson Academy for Dog Trainers, Karen Pryor Academy, Pat Miller's Peaceable Paws). currently a professional Dog Walker in Toronto or a Veterinary Technician looking to learn more about canine behaviour and training. a graduate of our Cranky Canine program or our Pet Professional Program (Whatta Pup!, dog*tec, or DWCP). email resume to careers@thetcce.com with the position you are applying for in the subject line.